Olympic silver medallist Lizzie Armitstead has pulled out of the road race at the World Championships in the Netherlands because of illness. Britain have decided not to call up a replacement for the 23-year-old, who would have led the team on Saturday. They will race with the disadvantage of only having five riders in the team. Emma Pooley, who finished fourth in the time-trial, could lead the squad, while 2008 Olympic champion Nicole Cooke may be given a free role. Saturday's race takes place over an undulating 80.2-mile (129km) course between Sittard and Valkenburg. 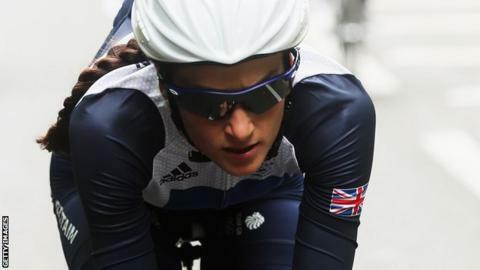 Armitstead won five medals at the track World Championships in 2009 and 2010 before switching her focus to road racing. Her absence is a major blow to the team, who will also now be two riders short of the maximum allocation of seven women per team.